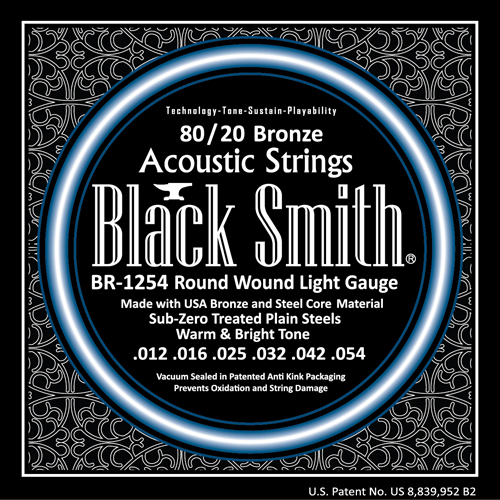 The Blacksmith brand was established in 1984 manufacturing fret wire for many leading brands in the music industry including Fender, Gibson, Jackson, Yamaha and more. After many successful years in the fret wire business, the same precision manufacturing concepts were applied to create a line of high quality but affordable guitar strings. Each Blacksmith string is the result of years of engineering and professional player testing. They are engineered to exacting specifications using the highest quality USA made steel, nickel and bronze materials then vacuum packed on a patented anti kink string card. 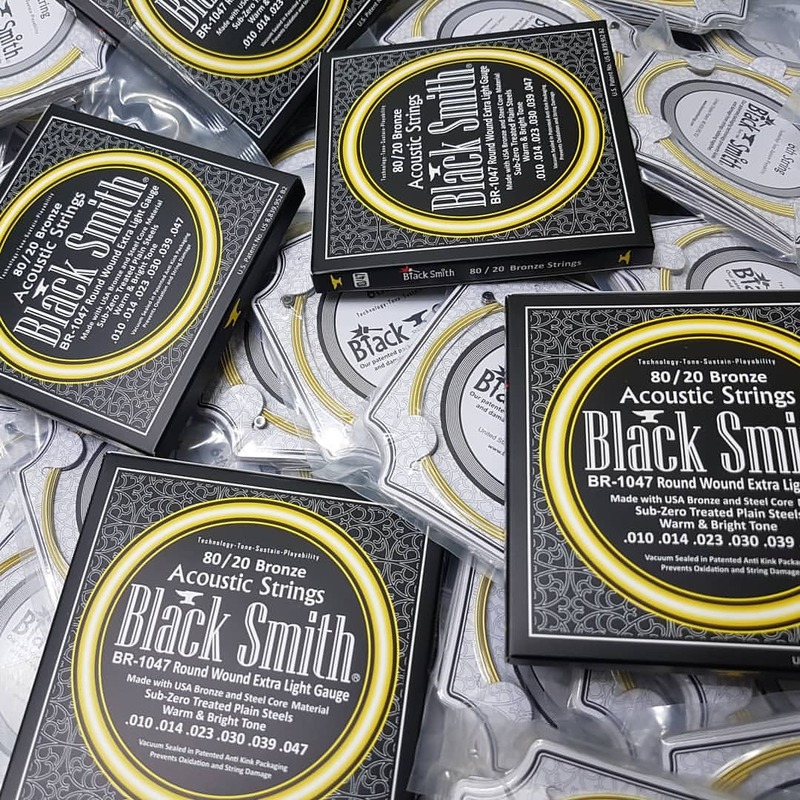 BlackSmith acoustic guitar strings are made with the finest materials and manufactured using state-of-the-art automatic servo controlled winding equipment. USA made bronze and steel ensures a long lasting string with increased sustain and purer & warmer tone. They are Vacuum Sealed in Patented Anti Kink Packaging Prevents Oxidation and String Damage. BR-1254 - BlackSmith's best selling 80/20 Bronze acoustic set, offering the ideal balance of tone and comfortable playability. Known for its pure, bright tone and well balanced feel. · Same day shipping. Order before 1pm and get same day despatch! We have teamed up with manufacturers from around the world to bring you the guitar accessories you can't be without. If you like value for money, we know you'll like our products. They're made to the same quality standards as many more expensive brands - so why pay more?